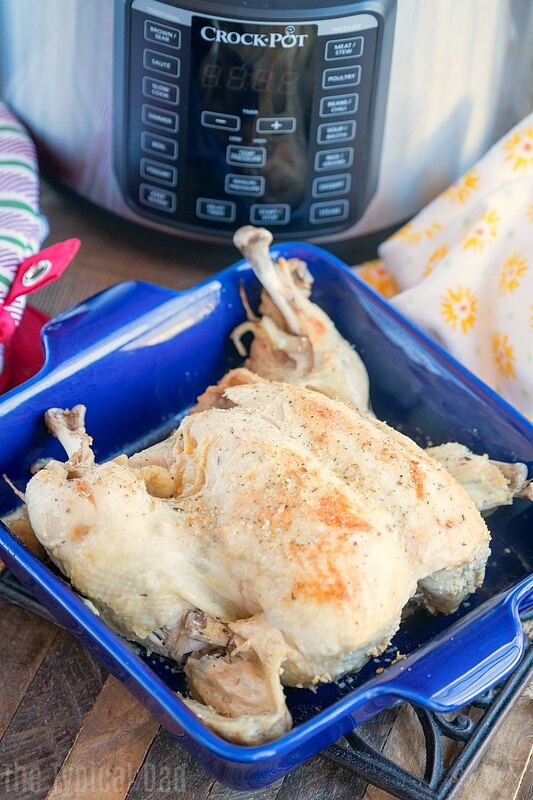 Crock Pot Express beer can chicken is easy to make and fall off the bone delicious! You’ll never have to turn your oven on again after making this pressure cooker chicken recipe. Need more easy Crock Pot Express recipes, we’ve got you covered with this Crock Pot Express beer can chicken recipe!! If you’ve always made this on your barbecue you’ll be amazed at how fast it is to do it in your pressure cooker now. Seriously fall off the bone delicious whole chicken cooked in about 30 minutes, then you just crisp it up in your oven and dinner is ready! 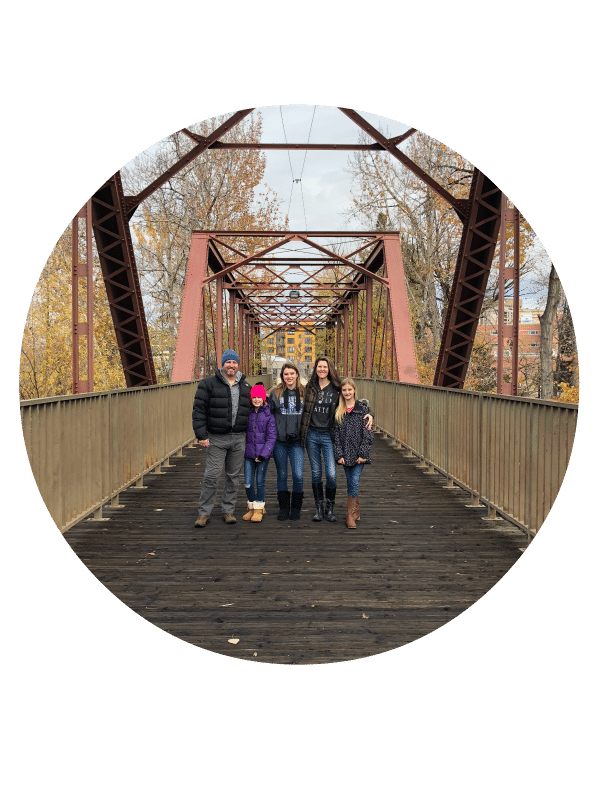 Props goes out to Crock Pot for sending us the newest Crock Pot Express pot so we could test out the differences and share our results with all of you. Do you have the New Crock Pot Express?? There is only one really big difference from our older 6 qt. version. There is now a manual pressure button so you can set exactly how many minutes you want it to pressure cooker your meal. We share here the older version and what the front panel / buttons looked like. 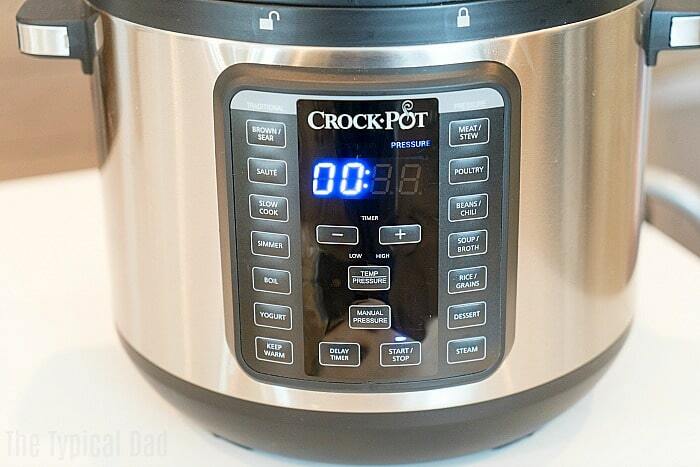 It isn’t a necessity to use the manual pressure button but after using this multi cooker for quite some time now I am familiar with how long recipes take, so it is nice to be able to set the time and temp. this way as well. An alternative way is to push the poultry button which generally automatically sets for 25 minutes, high. Why do you need the 8 qt. 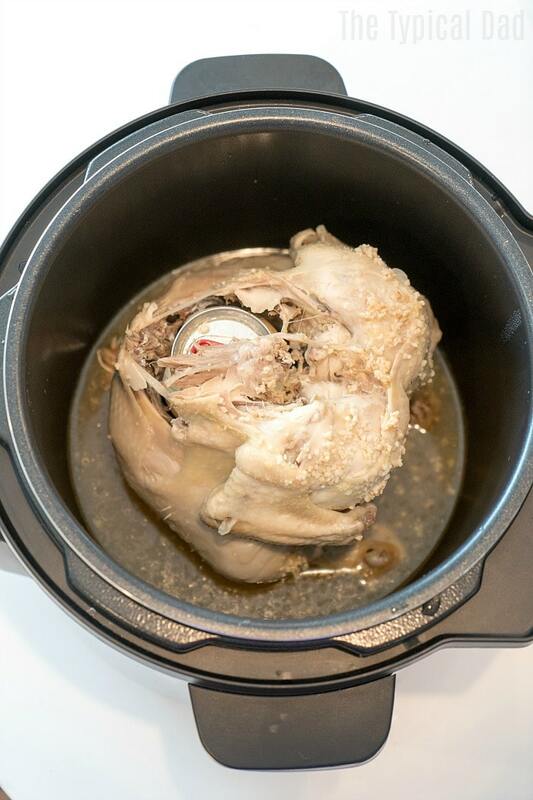 Crock Pot Express to make this beer can chicken? Whole chicken – keep it to about 4.5 lbs. 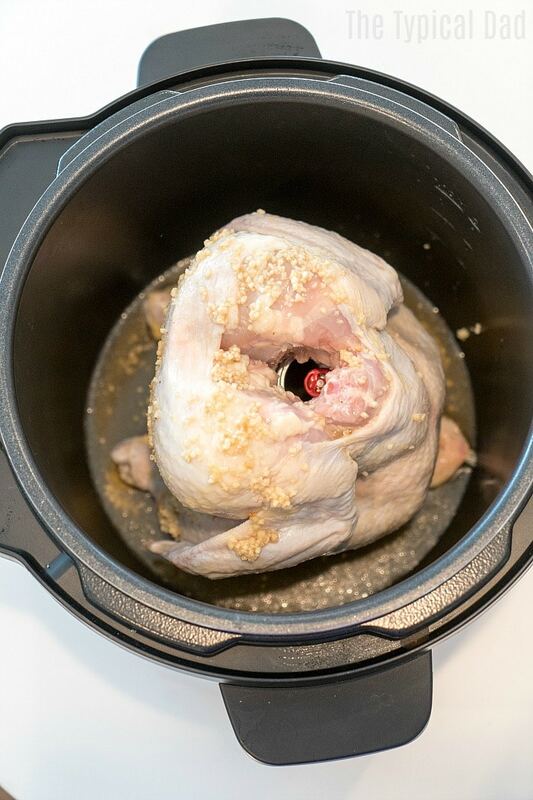 This Crock Pot Express beer can chicken is delicious and a great new way to cook a whole chicken in your pressure cooker, try this today! ** Note, you must use an 8 qt. Crockpot Express for this or the chicken won't fit. Wash chicken and take out bag inside neck, if there is one. Pour 3/4 c of beer from can into bottom of Crock Pot Express pot. Put open beer can in the middle of the pot, open end facing up. Rub olive oil on outside of chicken, sprinkle seasoning on outside skin of chicken (all around). Place chicken on top of beer can and gently push down so can is inserted as far as it will go into the cavity of the chicken (or else top will not close). Close lid and steam valve and push pressure adjust/or manual pressure button, high, for 25 minutes. Allow to naturally release for 10 minutes, then release rest of pressure. Will fall off the bone. Serve now or put under broiler in oven for about 5 min to crisp the skin, then serve.